January 11, 2018: California Dreamin’! To play along with us, you can download the lyrics and chords for “California Dreamin’” or download a copy of the presentation and instruction guide (what we project on the screen for all to follow along, including exercises and drills). We took a break to enjoy excellent talent by the evening’s open mic participants: Cindi, Full Mental Jack-Kit, The John Davenport, Tate and Helen. 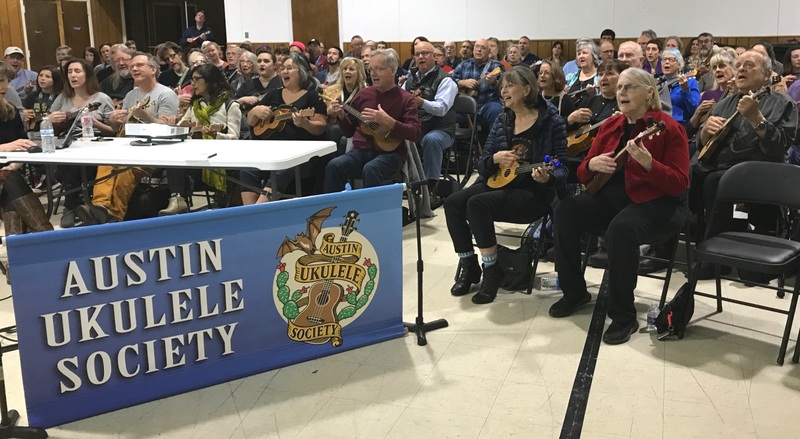 It was great to hear such a wonderful array of ukulele performances that included terrific originals and covers alike. The very next night, we were thrilled to welcome Lil Rev, a preeminent ukulele instructor and performer who hails from Milwaukee, back to Austin for the first time in five years. Rev presented a fantastic workshop inspired by his love for Lead Belly, teaching the group ways to add blues and boogie elements to their strumming, as well how to play several of Leadbelly’s most influential songs. 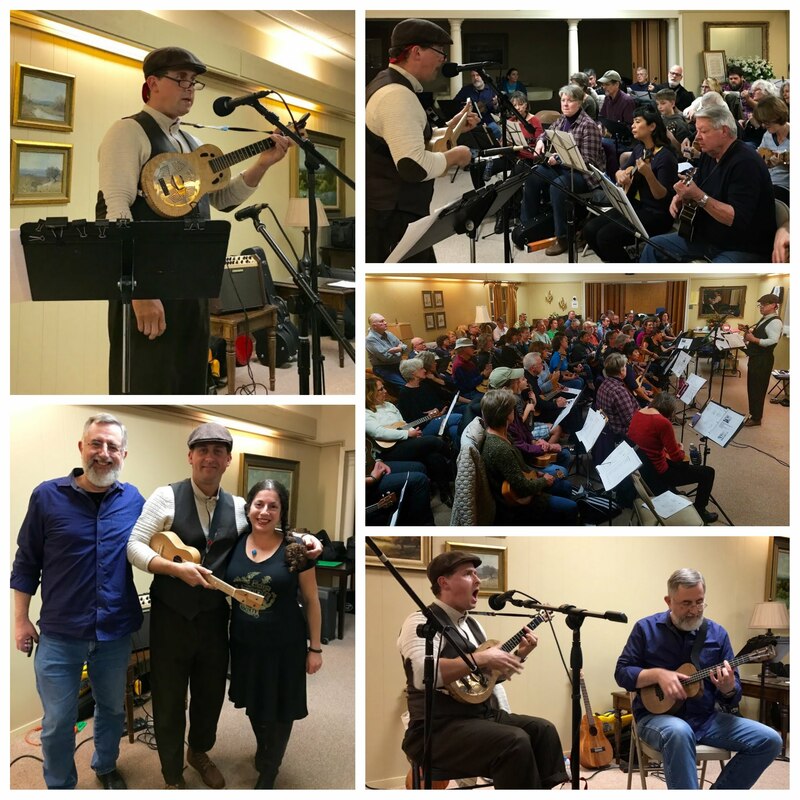 Shortly after the workshop, Rev enchanted the full house of over 60 attendees with his exceptional storytelling and an excellent concert performed on both ukulele and harmonica. The group was thrilled to see their own Bob Guz perform a couple of tunes with Rev. After an excellent encore, we regaled Rev with a standing ovation; everyone looks forward to having Rev back in Austin in the not too distant future. Everyone should look forward to the next meeting, on Thursday, February 8th, as the group takes on some Valentine’s-suitable material. 🙂 See you then! 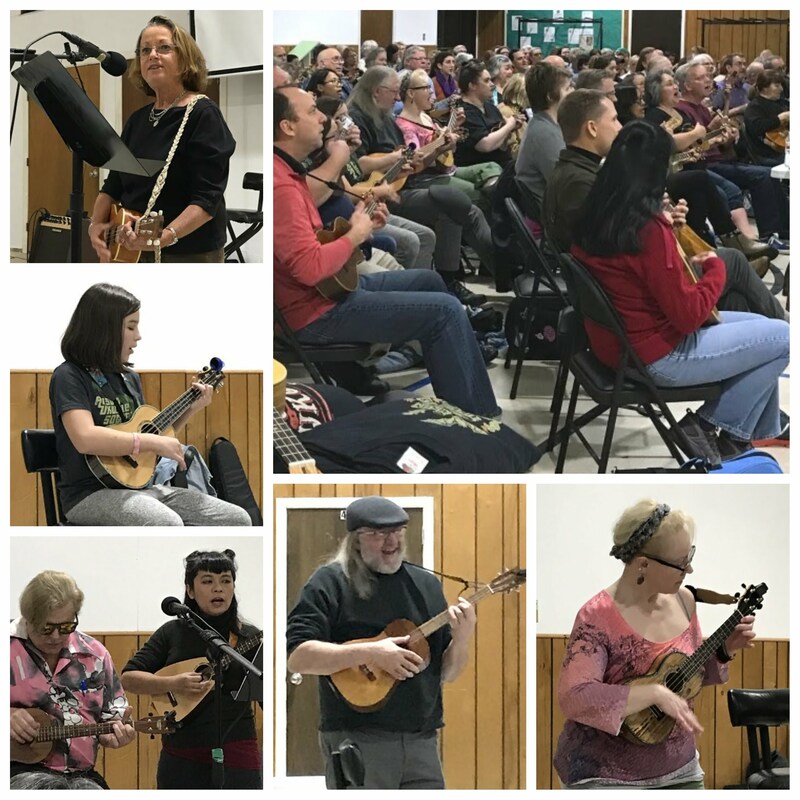 This entry was posted in AUS activities on January 15, 2018 by Austin Ukulele Society.